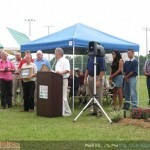 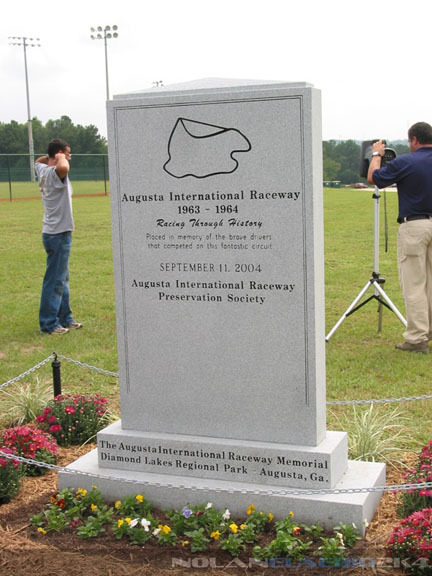 Sept. 11, 2004 - Henry Jones, a driving force behind the Augusta International Raceway Preservation Society addresses the gathering at the dedication ceremony. 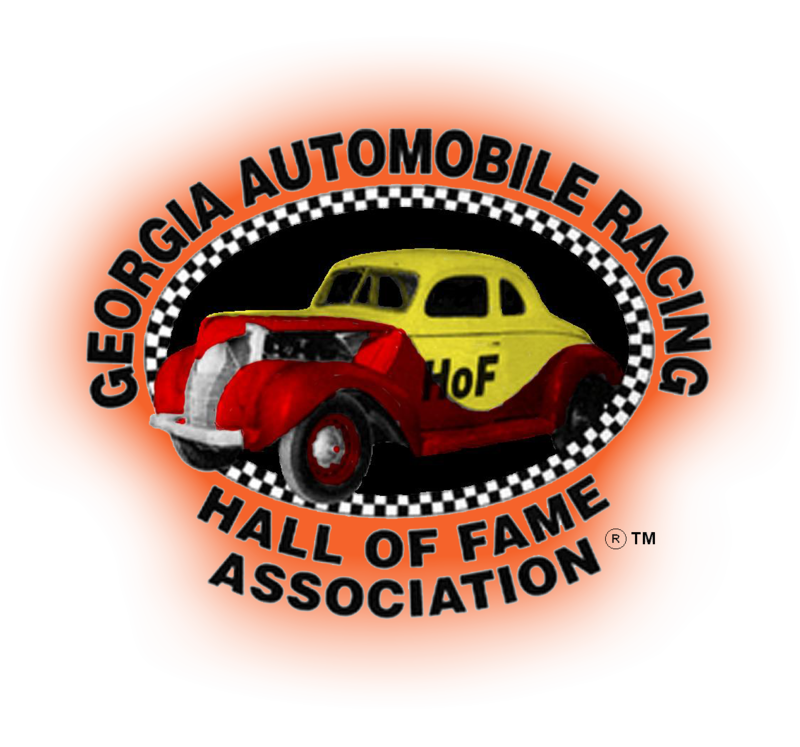 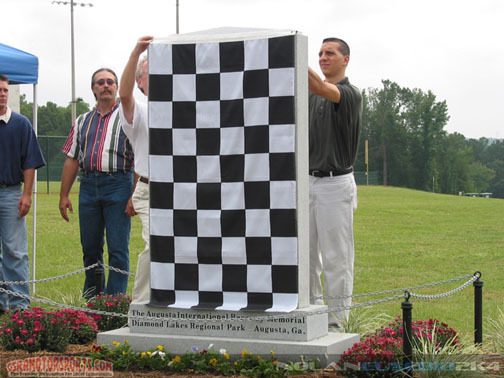 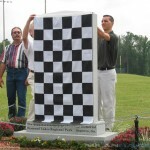 Sept. 11, 2004 - Members of the Augusta International Raceway Memorial group (now also a chapter of GARHOFA)prepare to unvail the beautiful Memorial monument recognizing the Augusta International Raceway. 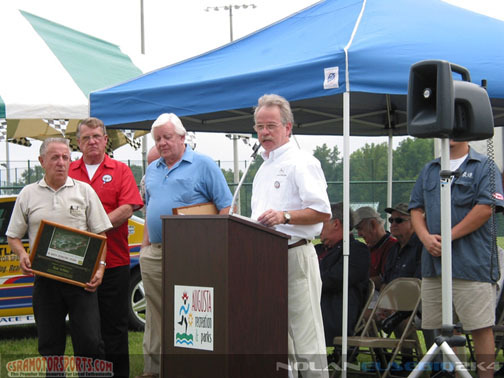 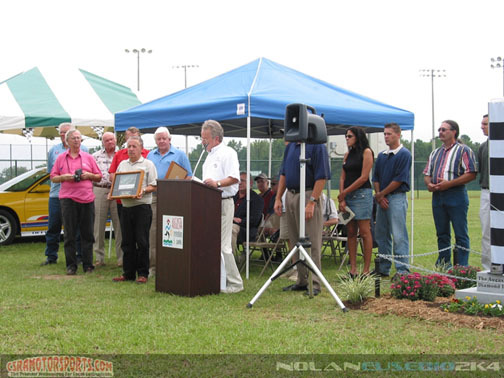 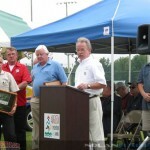 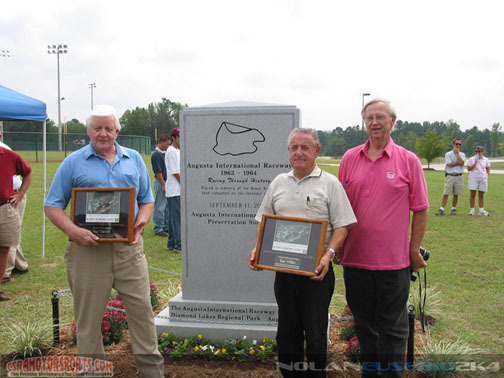 Sept. 11, 2004 - Henry Jones making presentations to 1960 NASCAR Points Champion Rex White and sports car driver/ speedboat racer Ted Tidwell (light blue shirt)at Augusta International Raceway dedication ceremony. 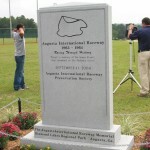 Sept. 11, 2004 - A view of the Augusta International Raceway Memorial. 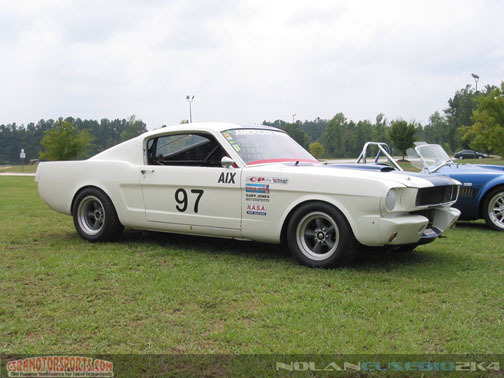 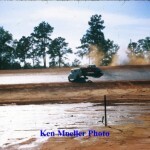 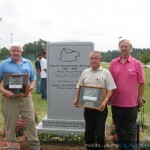 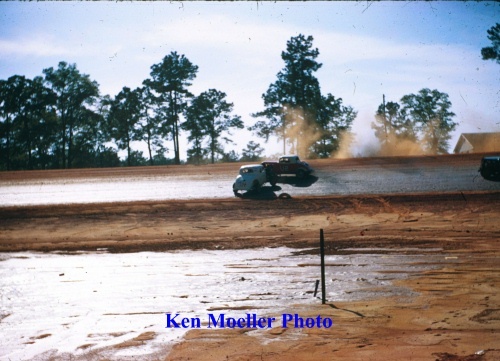 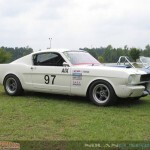 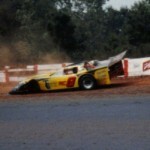 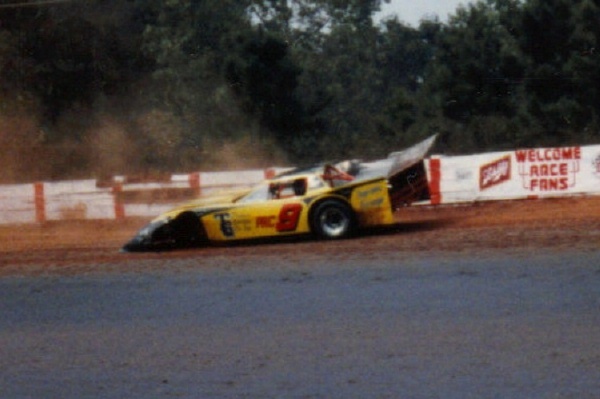 Sept. 11, 2004 - Ted Tidwell, Rex White and Joe Cawley in front of Augusta International Raceway Memorial. 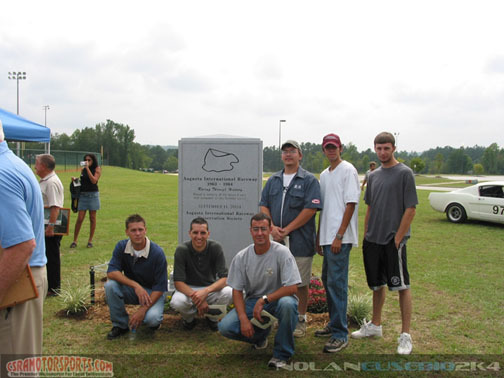 Sept. 11, 2004 - Several members of the AIRPS group in front of the Augusta International Raceway Memorial.